This is what we had (Clet & I) for dinner tonite. 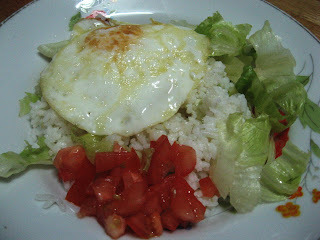 Garlic fried rice with bull eye's egg, tomatos and organic lettuce. Simple.